Here’s a great little project to practice steeking before you decide to take the plunge with a larger project. 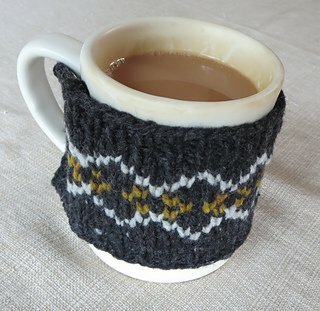 This Saturday we'll start knitting our cozies and next Saturday we'll steek them. We're using small amounts of worsted weight yarn. The skills and techniques you'll learn are working in the round with double points or circular needles, colorwork, reading a chart, picking up stitches, applied i-cord and steeking.